"It's a southern meal" my husbands tries to explain. "We live in the south!" I express, trying to figure out the reasoning behind this madness. I make them myself, but they are always best coming straight from her kitchen. Grandma's always do everything better. I guess I thought every one knew what they were. I mean, I was raised on them. My whole family loved them! But, I was sadly wrong. Mentioning them to a few members of my husbands family I realized not everyone knew what they were. "What are fried potatoes and onions?" "Are they just potatoes with onions?" "I have heard of fried potato cakes but what do you do with the onions?" Oh my! This is just mind blowing to me! So, my grandma made them for us the other day and I had to get in the kitchen and take a few pictures :) I just can't have this world not trying this amazing southern comfort food! My pictures aren't very good so please don't judge based on looks! It isn't the prettiest dish, but it is so yummy! 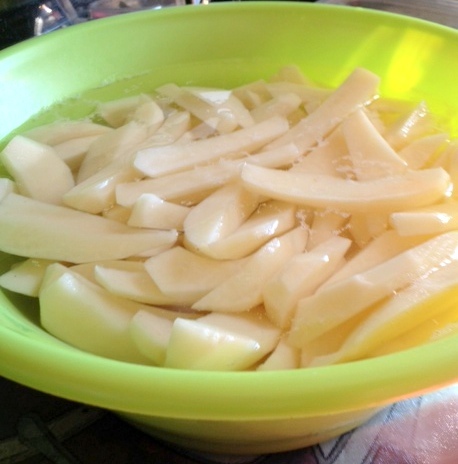 Peel potatoes and cut up. 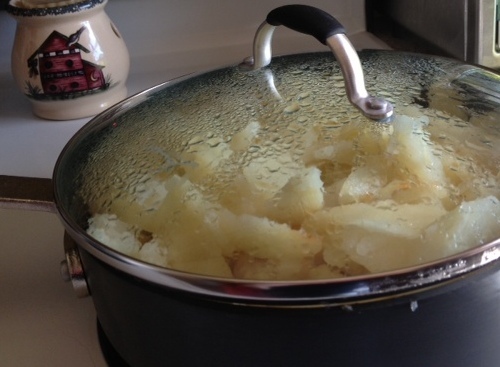 Soak the potatoes in water for a few minutes to clean them off. Drain. 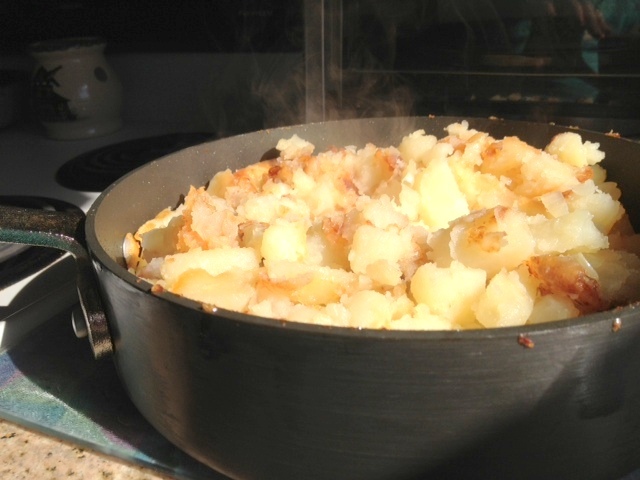 Add potatoes to skillet. 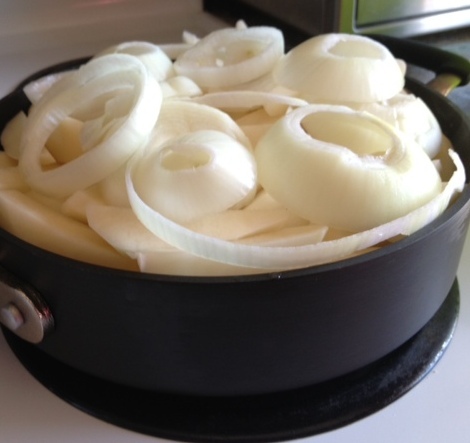 Top with the onions. When they are browned enough to your liking..it is time to eat! 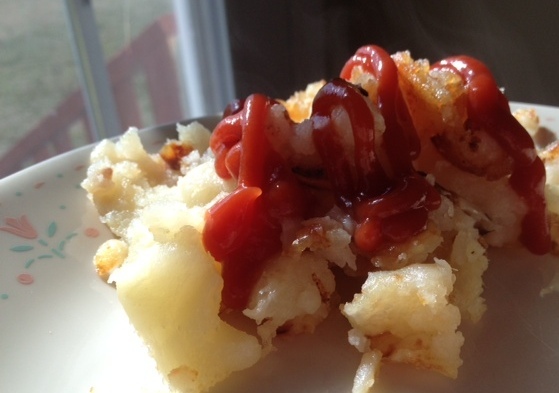 so THIS is fried Potatoes and Onions! haha I'm glad to know what they are now!